John Dewey once said, "Education is not preparation for life; education is life itself." Teaching is one of the most noble of all the career choices and those who choose to do it are indeed special people. By becoming a teacher, you truly have the power to change the world! The following steps will help guide your journey toward becoming a teacher in the state of North Carolina. Before you begin your journey, you should consider in which setting you would like to teach. For example, do you want to teach in elementary, middle, or high school? Do you prefer working with children with special needs? Answering these questions will determine some of the steps you take. In North Carolina, the basic education requirements for becoming a teacher are obtaining a Bachelor's degree (from a NC approved teacher education program at a regionally accredited college or university) and passing the North Carolina licensing exams. For a list of regionally accredited institutions, refer to the NC State Board of Education's list of Regionally Accrediting Agencies/Institutions. If you have not yet received a Bachelor's degree, you can choose a college major based on the grade level and subject(s) you want to teach. For example, you may pursue a Bachelor of Arts Degree in English if you wish to become a high school English teacher. If you are not sure what to major in, a school counselor may help you in deciding on the one right for you. Many colleges and universities offer joint degree and teacher education programs. Teacher education programs generally consist of a set curriculum that takes place at the college as well as some type of fieldwork. Curricula consists of classes on the theories of teaching and learning, methodology of teaching, and educational technology classes. Classes typically also cover developmental stages for students of varying ages. The fieldwork aspect will vary from college to college, but usually involves classroom observations. In addition to the observations, student teaching will be required of all teaching candidates. As a student teacher you will work with a master teacher to write lesson plans, teach those lessons, and reflect on them. There are some other pathways to becoming a certified teacher in North Carolina. Another pathway to obtaining a license to teach in North Carolina is the completion of another state's approved route to licensure. Some additional courses or tests may be required, depending on your home state's certification requirements. If you have certification to teach from another state, contact North Carolina's Department of Education's Licensure Department to see what will be required of you. There is yet another pathway for candidates who have a teaching credential in another state but want to teach in North Carolina. You can teach in North Carolina if you meet the federal requirements to be designated as "Highly Qualified". For this, you must have already earned a Bachelor's Degree from a regionally accredited college. In order to receive "Highly Qualified" status in North Carolina, you must be fully licensed and "Highly Qualified" a state. In addition, you will need to have three or more years of teaching experience in that state. You will also need to meet the North Carolina State Board of Education's approved licensure exam requirements. If you are a person who did not graduate from an approved teaching program, or someone who has decided to change your career to teaching from another field, you may qualify for a teaching position right away as you obtain your license through "lateral entry." This pathway is only offered on a provisional basis and still requires a Bachelor's degree from a regionally accredited college or university. For requirements of this pathway, you should refer to the NC State Board of Education's guide on "Qualifying for a Lateral Entry License." Yet another pathway is completion of an alternative teacher preparation program. In NC, this is called North Carolina Teachers of Excellence for All Children (NC TEACH). NC TEACH is offered at North Carolina State University (NC State) and is designed to recruit, train, support, and retain mid-career professionals as they become licensed teachers in the state. After completing your education requirements, the next step to becoming a teacher in North Carolina is to pass the required state tests. These tests are offered by the NC Department of Public Instruction's Licensure Section. North Carolina does have have 100% reciprocity with other states, therefore there are no exemptions to taking the required state tests for licensure. Note that some colleges or universities may ask that you pass some or all of these tests prior to entering or exiting a teacher preparation program. Check with a program advisor or counselor to find out more about your requirements. In addition to these required tests, you may also need to take a test for your specific licensure area if it is required (e.g., Middle School Social Studies). Some candidates may be considered "Highly Qualified." This may apply if you are fully licensed and "Highly Qualified" in another state who have three or more years of teaching experience in another state and who meet NC State Board of Education approved licensure exam requirements or have National Board Certification and are issued the SP2 Professional Educator's license. After completion of the above steps, you will be prepared to find a job in North Carolina! You will be ready to make an impact on hundreds of children in this great state. Candidates hoping to teach in North Carolina can access the North Carolina Public Schools Application System portal through the Department of Education website. Applicants are advised that some school districts do not post all jobs through this site. The remainder of jobs throughout the state are viewable by using the school district map and accessing the school district site directly. Like most other regions of the USA, North Carolina is currently experiencing high need for teachers able to teach elementary subjects, languages including English, math, sciences, and special education. Other roles within the profession are experiencing a slower growth than the national average. Once hired, teachers may join their state affiliate of the teacher's labor union. In North Carolina, options are the North Carolina Association of Educators (NCAE) and the Classroom Teachers Association of NC. Professional unions support teachers during labor and legal struggles and advocate for professional development in and outside the classroom. Upon retirement from the public school system, teachers are able to manage their income through accessing their pension funds on a monthly basis. Generally, teachers are permitted to contribute 6% of their income to the pension fund during their career. In addition to the state's public school system, teachers may apply to any of the state's 755 private schools. These schools have an average ratio of 10 teachers per student. The small class sizes are favorable to many teachers, as meeting the needs of all students becomes more feasible. In North Carolina, over 50% of the private schools have a religious affiliation. Teachers are reminded that salary and work expectations may differ from the public system. The table below lists the number of public school teachers in North Carolina by grade level during the 2012-2013 school year. There are more than 580 private schools with an estimated 9,600 private school teachers in North Carolina. The table below details the number of teachers by grade level during the 2011-2012 school year. North Carolina values on-going professional development in order for teachers to improve their practice boost student achievement. The state of North Carolina has a support system in place for helping teachers, administrators, and support staff to achieve their professional development goals. In addition to the Department of Education's mandates for teacher licensure and re-qualification, the state has partnered with LearnNC to provide a database of offerings available for professional development opportunities. 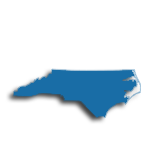 The North Carolina Professional Development Directory does not include information about specific courses and workshops, however contact information for providers is found within the database, and teachers are encouraged to make contact with providers. In addition to LearnNC, there are a variety of other organizations who provide insight and support to the educators of North Carolina. The North Carolina Association of Educators (NCAE), the Professional Educators of NC (PENC), the Southern Regional Education Board (SREB) and the State Employees Association of North Carolina (SEANC): SEANC have a variety of resources and contacts to help teachers improve their practice. Although you won't need a master's degree to teach in North Carolina, you'll still find that this advanced degree can deliver a host of benefits - to your career, to your classroom, and to your paycheck. 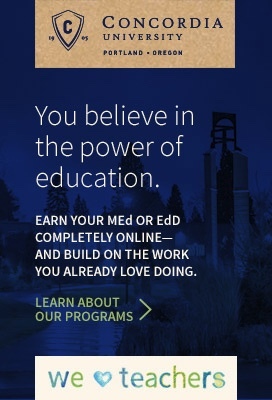 Plus, earn your master's degree and you'll satisfy the continuing education requirements for one, five-year cycle of your Professional Educator's Continuing License. After completing three years of teaching experience on a Professional Educator's Initial License, you'll be required to earn a Professional Educator's Continuing License, which must be renewed every five years upon completion of at least 8 renewal credits. While there are many ways you can satisfy the renewal credit requirements, earn a master's degree during this time and you'll satisfy the requirements after completing just two courses (1 semester hour = 1.5 units of credit). Educators in North Carolina who earn a master's degree not only enjoy everything from job stability to better and more diverse professional opportunities, they also earn a larger paycheck than their bachelor's-prepared peers. According to the NC Department of Public Instruction, teachers in North Carolina with a bachelor's degree earned a minimum annual salary of $35,000 in 2017, while those with a master's degree earned a minimum annual salary of $38,500 during the same time.